We’re always so excited to have vendors from Calgary make their way north to show their work at the Bison. 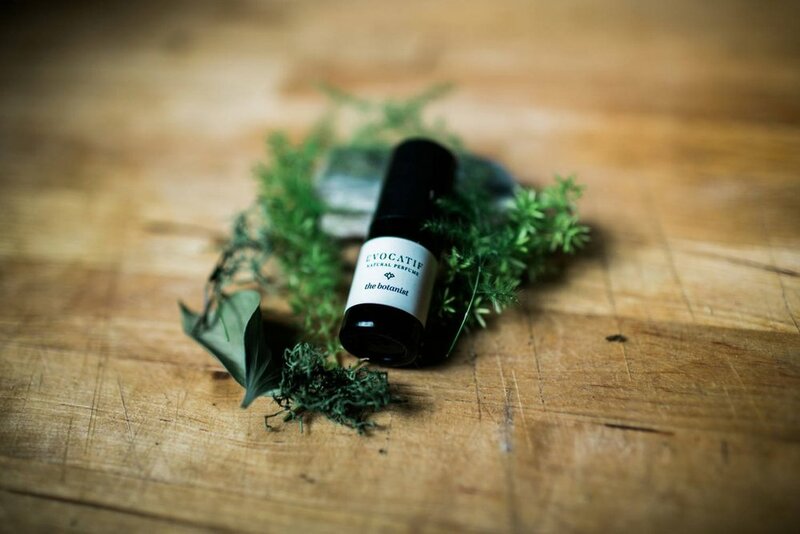 Silly rivalries aside, we love highlighting the amazing work coming out of Calgary, so we’re ultra pumped to introduce to all y’all - brand new to the Bison - Evocatif Natural Perfume! According to maker Katherine Thomas, “Evocatif designs and manufactures 100% synthetic-chemical free luxury perfumes and perfumed body products. We endeavor to make these products as sustainable and accessible as possible so everyone can smell great and protect the environment!” So rad! My first blend I made was three essential oils; Frankincense, Lime and Juniper ...and it smelled FANTASTIC! It’s difficult putting a pricetag on products so important and personal to me. I come from an arts and retail focused background though, so that helped me decide how to price my work. 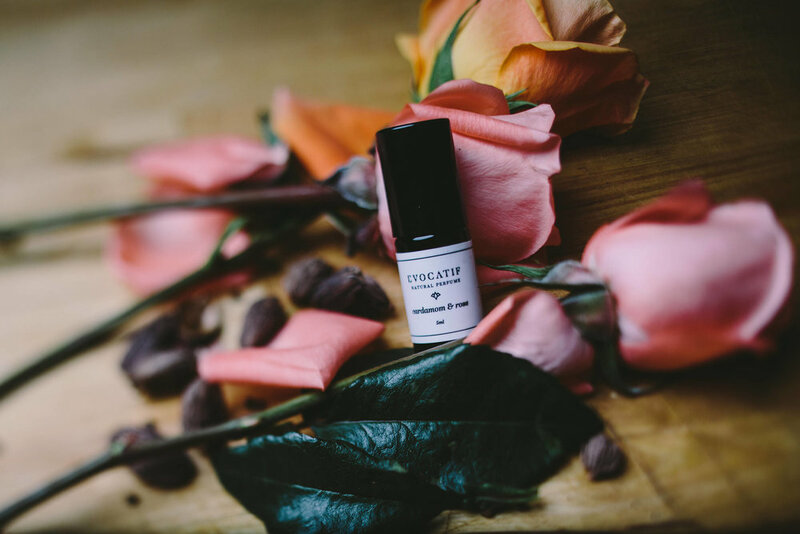 I remember that I price my perfumes as fairly as possible, that I use the highest-quality ingredients and I offer multiple sizes of product to maintain accessiblity. Any distinct personality trait of theirs? He’s a sweet, energetic, loving floof.